Set Of The Week! (19.06) – Isaac, Noisecontrollers & Wildstylez @ Defqon.1 2015 ‹ ALIVE AT NIGHT – Hard Dance Interviews, news & reviews with a twist! OH YEAH, it’s go time! In less than five days, thousands of devoted souls will congregate on the holy grounds of Biddinghuizen for a sacred manifestation of a sole passion for music… Yep, Defqon.1 is NEAR and to get you all in the mood for this wild weekend of madness, we’ve found one of our favourite sets to date! 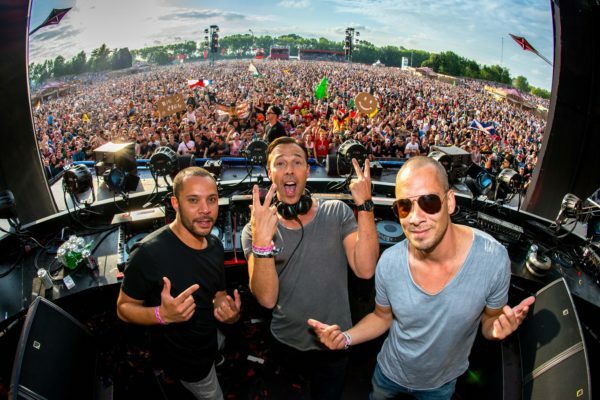 Who was there in 2015 when the Defqon.1 legends slot was introduced and Wildstylez, Isaac and Noisecontrollers took the stage? It was an incredible moment if you ask me and right now, you can relive the magic and get excited as you pack up your gear for this weekend’s edition!